Writing for the broadcast media is many people's idea of a dream job. The reality is that it's hard work, but if what you write is a hit, it can be lucrative. However, breaking into television and radio can be even harder. Whether you're interested in journalism or entertainment, you'll have to be talented, quick-witted and lucky to launch a successful career. However, there are certain things you can do to increase your chances of success. Few people break into big media broadcast writing in a single bound. However, there are all sorts of small scale ways to get useful experience which can increase your chances of getting positive attention from a major employer. Whether it's student television, hospital radio or making videos for YouTube, there's a lot going on out there and there are a lot of small scale media projects which need writers. Learning to write for small outlets is a great way to hone your talents. The more relaxed nature of these organisations also tends to make it easier for you to be around people doing other aspects of the business. Learning how editors, producers, presenters, cameramen, sound technicians, lighting technicians, actors and set designers do their jobs can make you a much better broadcast writer. If you can take into account their needs as you produce your work, they'll be much more likely to look favourably upon it. This can help enormously when you're looking for references and networking within the industry. Whatever area of the broadcast media you'd ultimately like to work in, writing for radio is a great way to begin. But although it offers more openings for new writers, it shouldn't be seen as an easy job. Both radio journalism and radio play writing require highly specialised and refined skills. The best way to prepare yourself for writing for radio is to listen to it. Try to listen to as many different programmes as you can and think about the various ways in which the writing is structured differently from that produced for television. How do radio writers compensate for the lack of visual material? Think about how you can weave physical description into your work without seeming heavy handed, and try adjusting the focus of what you write so that visual information is less important. 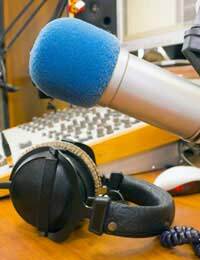 If you have existing small scale experience, you can apply for radio journalism jobs advertised in newspapers. Local radio is a good place to start. If you're interested in writing radio plays, listen out for writing competition announcements, which are a regular feature on most stations. You can also try submitting plays for regular slots featuring the work of different writers. Always address your work to the correct head of department. Because of the glamour associated with writing for television, it has traditionally been a difficult market to break into, but the good news is that things are changing. This is principally due to the expansion of the medium across satellite, cable and terrestrial digital channels. Although competition for jobs at the major channels is still extremely fierce, there are frequent openings for writers at the smaller channels, which are, as a rule, much more interested in new talent. Besides the established television channels, there are assorted small media outlets which focus on specific aspects of programme-making, such as documentary journalism or the production of cartoons. You'll find regular job openings with companies like these advertised in media employment directories. If you can't find a job in the area of the broadcast media which interests you, it might be worth considering a work experience placement. Many large media organisations offer these and although you'll be asked to do a lot of work and will have to fund yourself throughout, there's quite a good chance of a job at the end of it. A short-term work experience placement can be a great way to round off a degree in journalism or media studies with some practical experience. Although it can be difficult to get your work into the broadcast media, it is by no means impossible, and patient effort will usually pay off in the end. Once you've had some success you can consider hiring an agent to make sure you have more. In the meantime, take every opportunity to hone your skills. Is There a Market for Poetry?